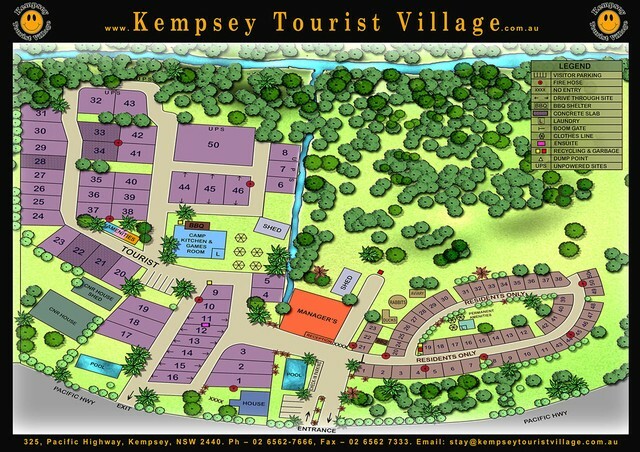 Kempsey Tourist Village is nestled along Gills Creek, which runs the full length of both our tourist park and the village estate, there is such an abundance of local Flora & Fauna. The Southern border has a large parcel of unused wetland acreage, along the Western border we have roughly 1.5 kms of Golf course frontage, along the Northern border we have a small piece of rarely used council rest stop land. There are 32 spacious acres and the park is divided into two completely separate and neighbouring villages. The Tourist Park is about 7 acres with 50 sites including cabins. The Village Estate is roughly 25 acres with 50 sites for the permanent residents. We are situated in a prime position, opposite the golf course. The Tourist Information Centre, corner store, petrol stations, bowling alley, and bike tracks are an easy walk and we are only 3kms south of the CBD. Kempsey has all the amenities and facilities such as all the major banks, Big W, Target, Coles, Woolies, IGA, coffee shops, restaurants plus many more. We have our management team who live on-site 24/7 and are always available should there be an emergency. With the Kempsey Bypass now completed, this will give us an even more peaceful existence and make shopping in town much easier and quicker with less traffic. For all you keen Golfers you can walk or drive your buggy straight out of our driveway and directly across the road into the fabulous 18 hole course and enjoy a relaxing round of golf. Kempsey is the birthplace of Slim Dusty and in his honour, the Slim Dusty Foundation and government have built the Slim Dusty Museum, which will be the gateway to Kempsey at the start of the bypass making Kempsey a great place to visit. We have our own Slim Dusty campfire for everyone to gather round. No better place than the Slim Dusty campfire to relax and enjoy the peace and quiet after a day’s drive. We recognise that for many people, pets are members of the family. So we provide flexible options for our guests to choose from a range of selected pet friendly cabins and camping sites. Our management teams lives on-site 24/7 for your convenience and flexible office times, and are always available should there be an emergency. 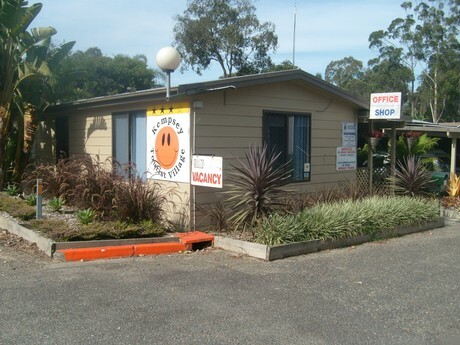 The short drive a way from the coastal towns of Grassy Head, South West Rocks, Hat Head and Crescent Head makes Kempsey Tourist Village a convenient and affordable accommodation option to make the most of your holiday.